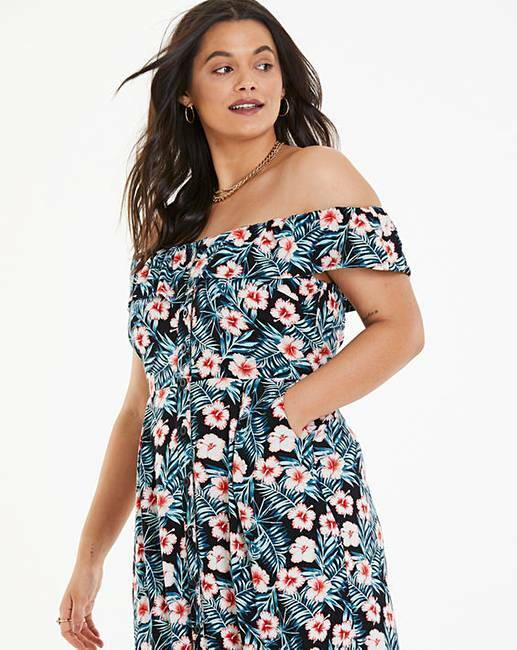 Joe Browns Palm Print Bardot Dress is rated 1.0 out of 5 by 1. Exclusive to us in sizes 20-32. 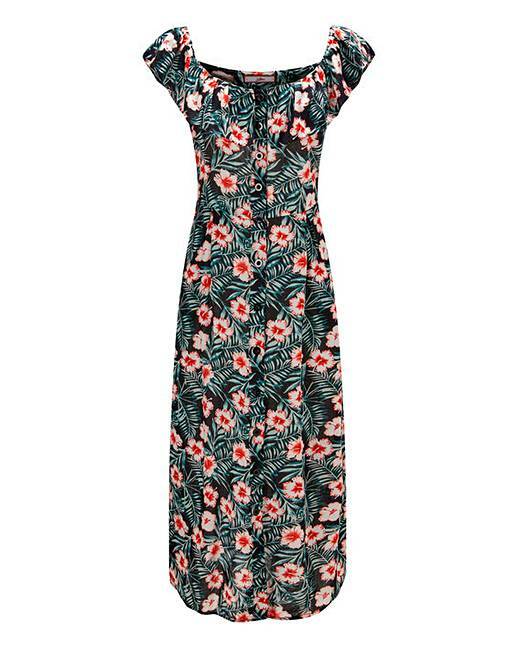 Calm, cool and serene, this elegant Bardot dress is a favourite for this season. 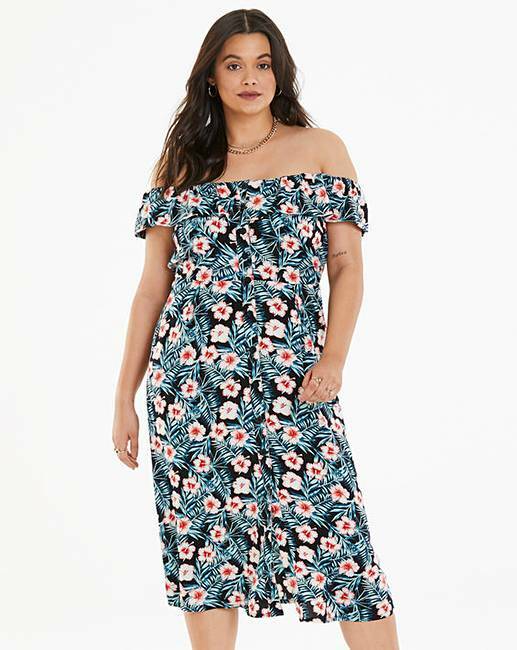 With its relaxed palm print and flattering bodice pleating, it's the perfect style to take you from day to night this summer. Rated 1 out of 5 by Marge from Pretty Looked lovely on the model, didn't suit me. Pretty dress.